2016 election Archives - Truth or Fiction? 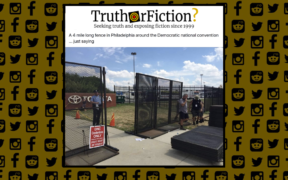 Did Democrats Put Up a Four-Mile Fence Around the DNC in 2016? Mark Zuckerberg Announces He's Closing Facebook-Fiction! False claims that Mark Zuckerberg is closing Facebook are based on an edited video that its creator labeled "satire." Attorney Lisa Barsoomian Represents Hillary Clinton, Married to Rod Rosenstein -Fiction! Attorney Lisa Bloom Offered Women Millions to Accuse Trump of Abuse During Election -Disputed! Attorney Lisa Bloom says women who accused Donald Trump of sexual assault were offered compensation to help ensure their security. Infinite Wisdom of Founding Fathers: Electoral College vs Popular Vote Numbers-Truth! & Fiction! A commentary titled "Infinite Wisdom of the Founding Fathers" claims that the electoral college was established to prevent urban areas from having too much sway in elections. Robert Mueller and Nancy Pelosi Had an Affair for 13 Years-Fiction! Fake news websites based in Panama are behind false reports that Robert Mueller and Nancy Pelosi had an affair that lasted for 13 years, forcing Mueller to resign. Intel Officer: Obama Could Be First President With Felony Indictment-Outdated! False rumors that an intel officer revealed President Obama could be the first president with a felony indictment date back to March 2017. Lenard W. Wahlert Letter to Mitch McConnell and Paul Ryan Putting GOP on Notice-Correct Attribution! U.S. Is One of 30 Countries With Birthright Citizenship? 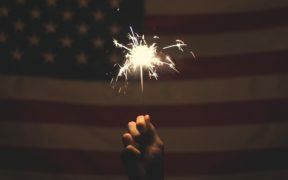 It's true that the United States is one of just 33 countries that offer birthright citizenship, and it's one of the only developed nations that does. Donald Trump: Being an Atheist Gives Me a Business Edge-Fiction! A meme falsely claims that Donald Trump wrote in his 1987 book "The Art of the Deal" that being an atheist gives him a business edge over Christians.